After your order has been sucessfully completed your print files will be archived with Vispronet® one calendar year! You can view the current status and your order history at > "My Account" > "My rders". 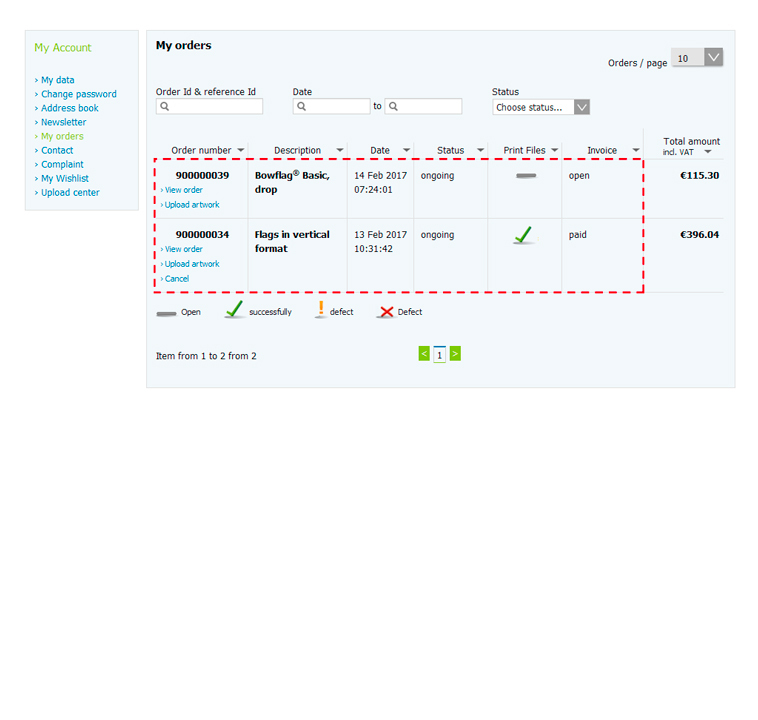 To reorder a previously delivered order simply log into your account, go to "My Orders", select the old order and click "Reorder". 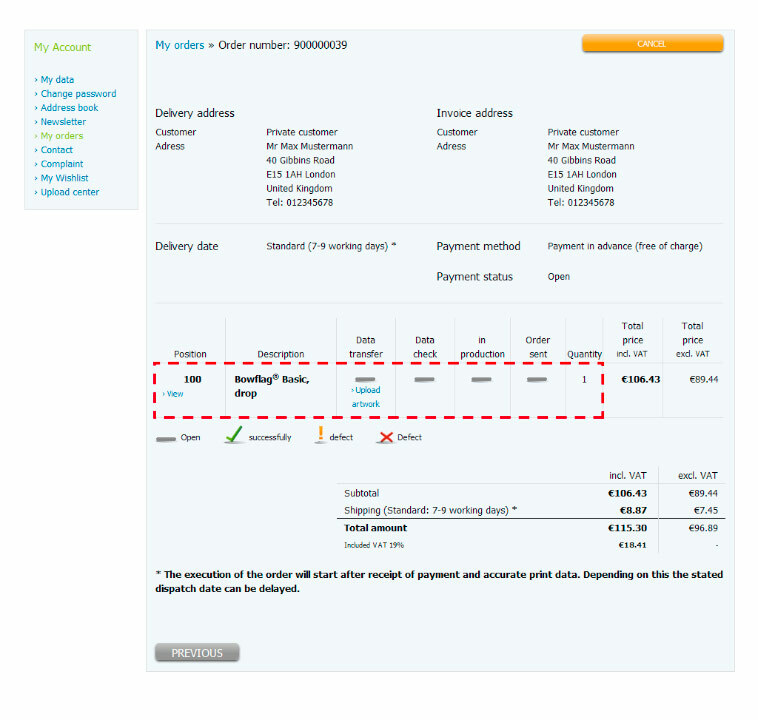 You can also just reorder individual positions from a delivered order. Choose the position and click "Reorder". Within one calendar year you can reorder the same product without submitting new artwork!